Siding serves a vital role for any house, protecting the structure from the elements in every season. And while you may not think about your siding very often, making sure your home’s exterior barrier is well-maintained and attractive will keep your house in top-notch shape and avoid costly problems down the line. All across Illinois and Northwest Indiana, we know the meaning of extreme weather; protecting your home from everything Mother Nature can throw your way should always be a top priority. At Berg Home Improvements, we offer a range of siding materials and services. Contact our siding professionals to see how we can help protect your house’s integrity and improve its looks. Many people don’t realize that siding covers more than just the exterior of your walls. While vinyl or metal exterior is an integral part of your siding, it is just that: a part of the whole. Siding also includes a complex network of gutters strung along your roof, as well as your soffit and fascia, which protect other vulnerable areas of your house. 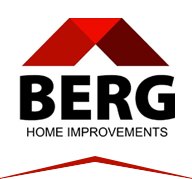 The roofing specialists at Berg Home Improvements understand how these systems work together and can recommend the best products for your home or business. Vinyl siding is very beneficial for homeowners and a great option for many commercial buildings. It is a highly durable product with very little to no maintenance over its lifetime. We carry CertainTeed vinyl and vinyl insulated siding. They offer an incredible product that has been very popular over the years. CertainTeed siding comes with a perma-color feature that makes it fade proof. Many homeowners experience a great return on investment when they go with vinyl siding. With rising energy costs, our team here at Berg Home Improvements is always looking for ways to help you keep your heating and cooling bills down. Insulated siding is a great option. We offer CertainTeed, the innovator in insulated vinyl siding. By choosing an insulated siding installation, you can make your home look great and improve energy efficiency. This translates into cost savings for you and your family or business! We carry several options for aluminum fascia and soffit designed to meet a variety of needs. Soffit ventilation is as important as roof ventilation, and aluminum soffits are a great low maintenance way to ventilate your home. We offer products that can create the most soffit ventilation available for your home. Call us today to have one of our experts make sure that your soffits are ventilating properly. Our company has been in the business of home improvement and repair for over 50 years, and our quality installation and repair services have left us with many satisfied customers over the years. And while protecting your home is always the first priority, we are also happy to help you visually upgrade your home with attractive and efficient siding at a reasonable price. Give us a call to learn more about our products and services or to schedule an unbiased inspection of your house’s siding. You can also use the contact form on our site to request a quote for your job; we’ll get back to you promptly and schedule a time to inspect your home.